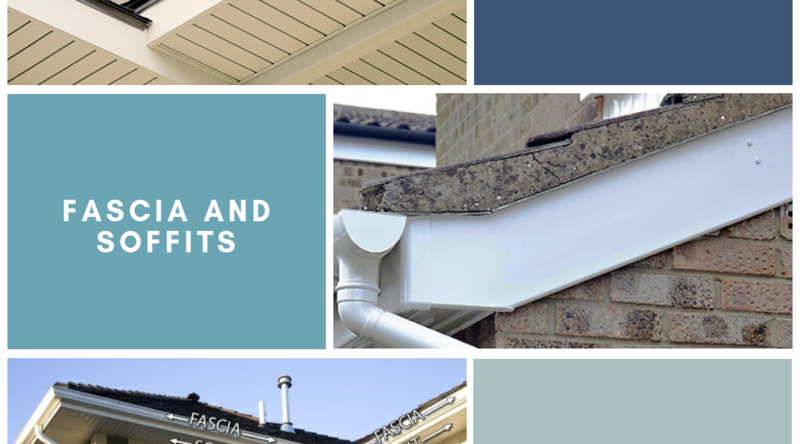 The fact is, it’s very important to stay up-to-date on your soffit and fascia if you want to keep a good looking and energy efficient home. 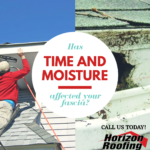 They also protect your home from pests like squirrels and birds while maintaining and improving water drainage in roofs by keeping drainage, like gutters, in place, which, in turn, prevents rainwater from getting into the vulnerable parts of your home. Aside from keeping moisture out, soffit helps release heat from your attic during the hot summer months. It’s important to make sure your soffit has no cracks or holes in it and if it does, you must repair or replace it right away. Also, your fascia is the last line of support for the lower edge of the bottom row of roof tiles or shingles. Plus, fascia are what your gutters are installed on. Gutters are extremely important and your fascia needs to be able to hold them up even during torrential downpour. 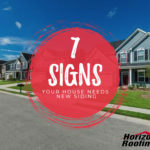 If you have an older home and you’ve noticed that your soffits, fascia are worn out, detaching from your home or damaged, you should replace them in order to protect your roof and your home from potential damage. 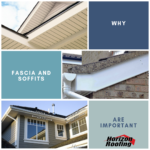 Call Horizon if you need fascia and soffit repair or replacement!